National Health Week, which runs from April 2-8, focuses on the Power of Home. The Richmond City Health District has partnered with a variety of organizations across Richmond to fight the false narratives that surround our fellow residents living in low-resource communities. 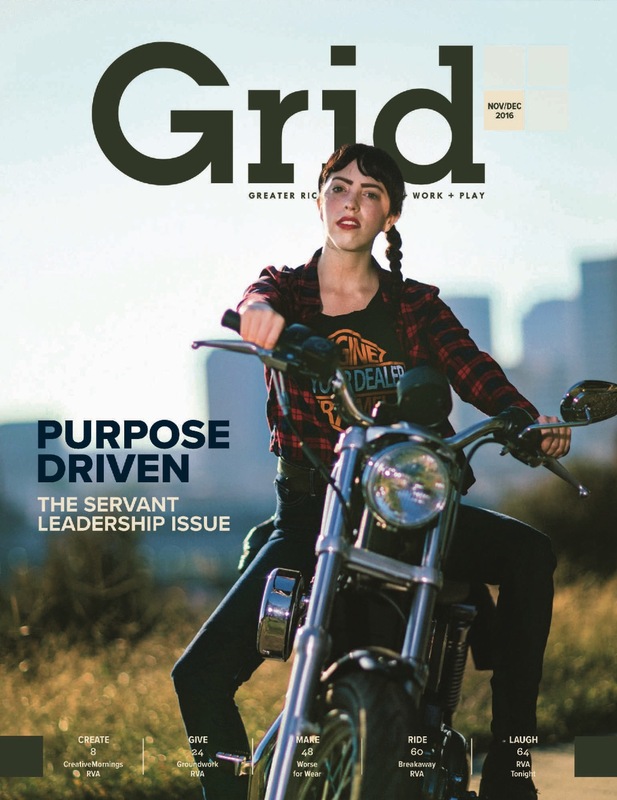 Grid, along with other local publications, are featuring a series of letters from residents in Richmond Redevelopment and Housing Authority communities. The following is from Patrice Shelton, Community Health Worker at Hillside Court Resource Center and Hillside Court Tenant Council President. Some residents come to Hillside Court because they have to. Some come because they weren’t taught differently. Some come for a stepping stone, and then they go on. I came eight years ago as a stepping stone. My kids were in 8th and 12th grade, and I was between jobs. It was going to be: get in, get a job, and leave out. Then I ended up getting severe arthritis and couldn’t do a lot of standing. And anyway, leaving Hillside right away wasn’t what God wanted for me. I joined some groups in Hillside just to get out of the house, but those groups were really working to connect the community. I started out with Embrace Richmond and AmeriCorps and then founded a nonprofit, the Hillside Court Partnership, even though I had never done anything like that before. So many organizations come into Hillside and then leave, but my thing has always been to follow through. Once I get started, we keep going until we make it happen, and we make sure the community has ownership. In 2013, the Hillside boys who played football came to me and said: “Miss Patrice – why we gotta go play at Blackwell and Bellemeade? Why we can’t play for Hillside?” So that was my thing then – to make sure they could play for Hillside. The first team we had was the Soldiers. The kids came up with the name. They were underdogs going in, with so many obstacles to go across from living out here. They said if they could get through those things, they were Soldiers. We had coaches from the community who had never coached before. The kids had whole seasons where they never won a game and whole games where they never scored at all – but they kept coming back. That’s a soldier. You stay committed. You keep fighting no matter what. There has been so much negativity tied to Hillside in the past, and to public housing in general. Our sports teams have given Hillside a real positive to focus on – parents, brothers, uncles, and neighbors, some who have done bad but have fixed their lives, stepping up and trying to teach kids self-control and self-worth. I gave those things to my own kids, and now I am working to make it possible for these kids out here. That’s what it is to be part of a community. People like to stereotype public housing residents, but we’re not all criminals or dropouts or gangbangers. We’re not all utilized for baby making. We have armed guard security workers. We work in the school system. We work for the state. We are self-employed. We create nonprofit organizations. We are college students. We are good parents and coaches. Like most places, Hillside is a work in progress. Investments take time. People want to drop off donations, but we’d rather see them come and volunteer. Be a listening ear. Coach a team or lead a group. Bring a class here. Don’t assume people in public housing aren’t interested. I’m trying to get my community to widen their thoughts, widen their dreams, and know their rights as residents and as humans. I want people in Hillside to know that their voice, with numbers, can take them far and create change. I work every day to support Hillside, and I am proud to be a part of this community.